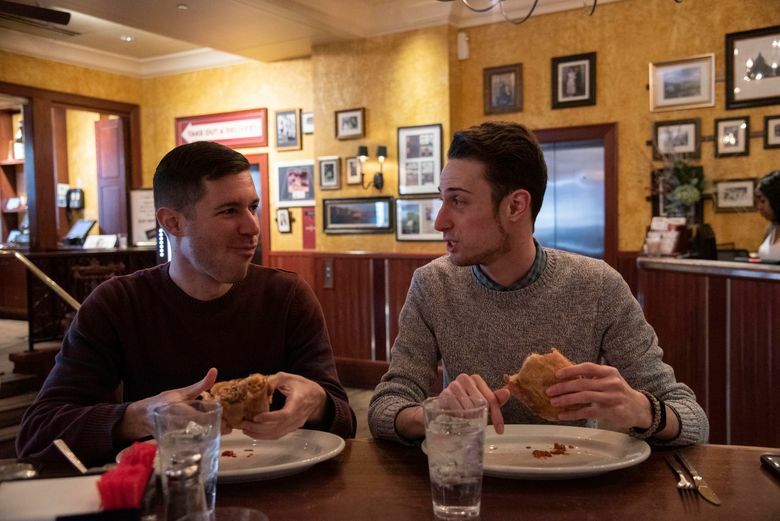 WASHINGTON — During the first week of the partial government shutdown, federal employees ordered a drink, maybe two, to go along with their free meatball slider at Carmine’s, the 700-seat red sauce house in Washington’s Penn Quarter, says general manager Brian Schermer. By the third week, however, more and more furloughed workers were sipping water with their courtesy nosh. In due course, a promotion that began as an earnest attempt to help government employees had turned into something of a money pit. Carmine’s, says Schermer, gives away about 70 to 80 sandwiches a day during the two-hour window when the sliders are available for federal workers. Each one normally sells for $8. The general manager doesn’t plan to shut down the shutdown special, but at the same time, he’s starting to worry about how long President Donald Trump and congressional Democrats will continue their staredown over funding for a border wall. He’s hoping one side will blink soon. Washington restaurants are dealing with the consequences, pro and con, of the longest government closure in the nation’s history, now well into its fourth week. Some are thriving despite the fact that thousands of federal workers haven’t been paid since December. Others are hurting, badly. Chris Fusco, general manager for Luke’s Lobster in Penn Quarter, says sales are down between 30 and 40 percent from last January. “Essentially, we’re a luxury lunch item here, and the first thing that’s going to go is any luxury items,” Fusco says. 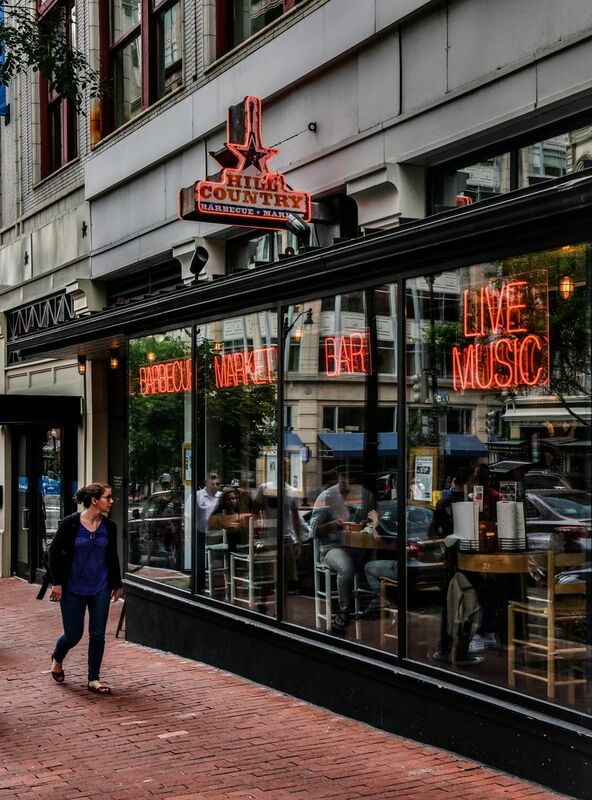 For all practical purposes, the shutdown could not have come at a worse time for D.C. restaurants. January is traditionally one of the slowest months for local chefs and restaurateurs, right up there with August, when Congress goes on recess. In January, potential diners are still recovering from the holidays. There are bills to pay and diets to follow. Dining out is an expense that can be sacrificed until the family bank accounts have been replenished. Because of multiple possible impacts — the government shutdown, weather that dumped many inches of snow in the area, the standard January belt-tightening, even the increasingly competitive dining scene — it can be hard for restaurant owners to measure how much any one factor is messing with the bottom line. On Jan. 9, the Restaurant Association of Metropolitan Washington sent an email to more than 600 of its members, asking them if the shutdown was impacting their businesses. More than 100 have responded, says Kathy Hollinger, president and chief executive of RAMW. Bridget Sasso is one of those feeling the effects of the shutdown. She’s pretty certain it’s ruining her nighttime business at Radici, a casual Italian market and cafe on Capitol Hill. She says evening sales are down 40 percent from last January. Radici is more of a daytime operation, where people grab coffee, pastries and maybe a salad or sandwich for their lunch. Yet a significant portion of Sasso’s sales, she says, comes from customers who, on their way home from work, purchase a prepared meal and a bottle of wine to take home. These are the missing customers, she says, likely because the crowded sidewalks outside her door have thinned to a trickle. Her rent, a sky-high $17,000 a month, weighs heavy on her mind. Can she cover it next month? Restaurants with lower-priced menus seem to be faring better than places perceived as expensive or focused on luxury dishes. 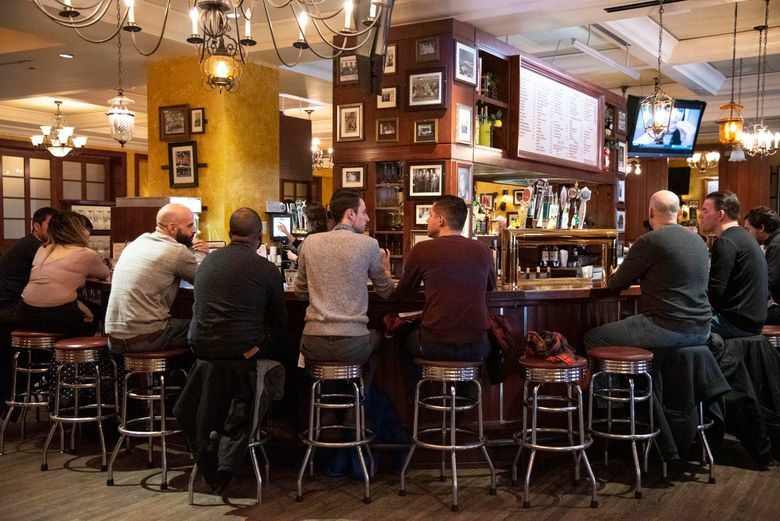 Bars and coffee shops, as you might suspect, are not feeling the pinch; they have, in some ways, become third-place gathering spots for the furloughed crowd, businesses where people can sit with a laptop or drink and commiserate with friends. The Capitol Hill location of Peregrine Espresso and Penn Quarter location of Compass Coffee are either doing better (Peregrine) or the same (Compass) as last January, their owners say. Over at the Boxcar Tavern on Capitol Hill, co-owner Andi Gentile says revenue is up about 30 percent over last year at this time. She credits the increased sales, in part, to the shutdown. But Gentile, like Jensen at Peregrine, fears what will happen as the shutdown lingers on. It’s a fear that has already been realized at Hank’s Oyster Bar on Pennsylvania Avenue SE. Assistant general manager Jerry Gabice says he noticed a drop in sales on Friday, the day federal workers received their first checks with a net pay of $0.00. Just as telling, Hank’s has seen an increase in phone calls, ostensibly from furloughed workers, who are asking about shutdown specials, Gabice says. Hank’s offers federal employees 50 percent off certain dishes, including lobster bisque, oysters on the half shell and the restaurant’s signature burger. In recent days, Gabice has seen more people flashing their government IDs to take advantage of the deals. “It’s sustainable,” the manager says, “but it’s not beneficial to the staff.” He says diners will base their tip off the discounted bill, not the bill before the discount. As a result, “the staff makes less money,” he says. Countless bars and restaurants around Washington are offering similar shutdown specials. The deals range from happy hour prices all day long to discounted meals to freebies such as the meatball slider at Carmine’s and the free pies at &pizza. The restaurants within ThinkFoodGroup, celebrity chef Jose Andres’ company, have been giving away free sandwiches daily at the bar, almost since Day 1 of the shutdown. The giveaway also includes a federal worker’s family. By Andres’ estimate, each restaurant — including Jaleo, Beefsteak, Zaytinya and Oyamel — has handed out nearly 300 sandwiches a day. The group, in turn, has spent more than $50,000 in labor and food costs on the handouts. “It’s very expensive,” says Andres, whose nonprofit organization World Central Kitchen has separately opened a relief kitchen to feed furloughed workers. And that expense is coming at a time when ThinkFoodGroup is watching sales closely. The shutdown hasn’t exactly hurt the restaurant group’s revenue compared to last year’s, says Kimberly Grant, its chief executive. Then again, last year’s sales were down due to inclement weather, Grant adds. “Without the government shutdown, we might be even higher” in sales this year, she says. The government shutdown has not just hit workers’ pocketbooks. It’s affected the tourism trade. All 17 of Washington’s Smithsonian museums and the National Zoo are closed, the victims of a lack of funding. No major attractions translate into fewer tourists, which means fewer people walking the sidewalks of Penn Quarter, searching for a place to eat. Lunch sales are down at Hill Country, says owner Marc Glosserman. Customers who may have previously waited in a long line at the Texas barbecue joint can now walk right up to the meat counter. Carmine’s, across the street from Hill Country, has seen about a 16 percent drop in lunch revenue over last year, says Schermer, the general manager. The streak — or, to use one of the president’s favorite phrases, the winning — looks like it will end this year.